Landline Vs Mobile or Both? Home > Equipment > Landline Vs Mobile or Both? Is the landline still a vital part of home telecommunications network or is new mobile technology rendering it obsolete? We assess whether it is time to cut the landline out of our lives. 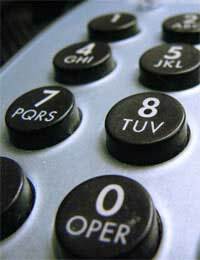 Is it Time to Cut the Landline? With a recent report declaring that a quarter of Europeans have already ditched their landline and now only use a mobile phone, it is time for the rest of us to let go of the telephone wires? Is the landline just a needless expenditure when we could make all our calls using the mobile phone? At one time it would be absurd to even consider saving money by doing away with the landline and relying solely on a mobile phone. You would have to contend with a limited signal, poor worldwide coverage, limited battery power, and have the wait for cheap calling periods. Ultimately you’d need a lot of patience and understanding friends and family. But with mobile phone technology improving significantly year on year such disadvantages, and the advantages of a keeping landline telephone, are being cancelled out one by one. Would it Mean Sacrificing the Broadband Connection? Dropping your landline may make sense in terms of cost, but for those that rely on broadband Internet wouldn’t it mean sacrificing your connection, and the prime minister’s dream of a ‘Broadband Britain’? The move towards the landline-free but broadband happy home communications is currently faced with one major stumbling block – the reliance on telephone wire broadband connections. A great many UK households who pay for a landline do so in order to get a broadband connection. But is there an alternative? In theory broadband doesn’t need to be tied to a landline connection. In many countries around world, such as Australia and Belgium, the two are completely independent. But unfortunately the UK is behind the field in this regard and such ‘naked DSL’ services have yet to appear. There is however one alternative – cable broadband. If you live in an area supplied by a Virgin Media then you can opt to receive your broadband connection through their network of cables rather through a BT phone line. Not only will this save you forking out for line rental but you also get a better quality connection. Unlike the copper wires of an ADSL connection, Virgin’s cables are partly made of fibre-optic material which helps stop the signal degrading on its way into your computer, thereby giving you a much faster connection. Another option available to those who want to get rid of their landline but don’t want to forgo their Internet connection is to invest in a special mobile broadband dongle. This is a ‘plug-in-and-go’ device that looks like a USB memory stick and operates like a mini-modem. Available to buy from a mobile phone provider, the dongle slots into your computer’s USB port and following an automatic configuration you get high-speed mobile Internet access via the 3G mobile phone network. Experts reckon these ingenious gadgets could one day replace fixed home broadband connections as people start to recognise their simplicity, flexibility and cost-efficiency. Dongles are currently not ideal for everyone however. They cater for the light or medium surfer who wants to get their Internet access for a cheaper price than having a fixed broadband connection and landline.